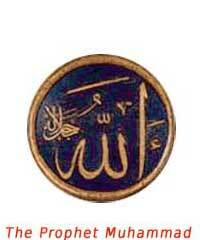 In Islam, the main focus is on God, whose most all-inclusive name is Allah. The Prophet Muhammad (c. 570 C.E. – 632 C.E.) is regarded as a beautiful model for humanity, and a great messenger of God. An angel of God revealed messages to him which he repeated to others, and which were put together to form the Holy Qur’an. It is so beautiful in the Arabic original that people are certain the illiterate Muhammad could not have composed it himself. Faithful Muslims observe five central spiritual practices: They believe in and bear witness to the oneness of God and the prophethood of Muhammad. They pray (do Namaz) five times daily facing the holy city of the Prophet, Mecca. They observe regular fasts for inner purification and inner mastery, including abstaining from food and drink from sunrise to sunset during the entire lunar month of Ramadan, when the revelations of the Qur’an began. They give a prescribed proportion of their income in charity. And at least once in their lifetime, Muslims are expected to make a pilgrimage (hajj) to Mecca.